Rice is a seed of the grass species Oryza Sativa and is the the most consumed staple food in Asia. It's agricultural commodity is the third highest in the world after sugarcane and maize. Rice is a monocot, in tropical regions it can produce crops for over 30 years. 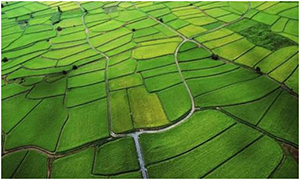 Rice cultivation is suitable for countries with low labor costs and high annual rainfall. It can grow on mountain slopes and hills as well. Rice is a major food staple and a mainstay for the rural population and their food security. It is mainly cultivated by small farmers in holdings of less than 1 hectare. Rice is also a wage commodity for workers in the cash crop or non-agricultural sectors. Rice is vital for the nutrition of much of the population in Asia, as well as in Latin America and the Caribbean and in Africa; it is central to the food security of over half the world population. 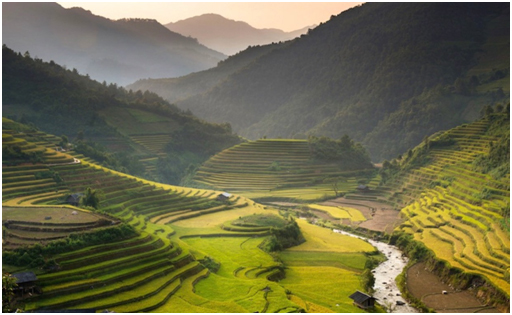 Majority of all Rice produced comes from China, Indonesia, India, Bangladesh, Vietnam, Thailand, Myanmar, Pakistan, Korea, Philippines and Japan which accounts for 87% of world rice production. China and India combined produces 49% of total rice production. Last year in 2016/2017 the world produced 484.1 Million metric tonnes (MT) of rice. The seeds of rice plants are first milled; removing the chaff or outer husks of the grain. After this process it is then known as Brown Rice. Further removal of the bran (rest of the husk and germ) creates the traditional white rice which keeps like her but lacks the important nutrients that are removed during the milled processing. By hand or in a Rice polisher, white rice can be buffed using glucose or talc powder, parboiled or processed into flour. The Rice can also be enriched using supplements of nutrients which are lost during the milled process. Parboiled rice is after the first process of removing chaff and steaming or parboiling the brown rice grain. This process results in a gelatinization of the starch in the grains which makes the rice less brittle. After drying the rice, it may be milled or used as brown rice. Milled parboiled rice has better nutritional value than standard milled rice, as the nutrients from the outer husks move into the endosperm. Raw rice can be grounded to produce rice flour; which has a variety of uses from beverages to food consumption. 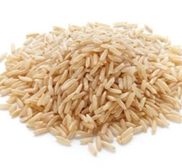 from this rice are immediately bought from rice farms to preserve the longevity of the flavors. Jasmine rice get its name from the color of the jasmine flower that is bright white. When cooked it is soft and moist with a slightly sweet flavor. 2. Brown rice is a whole grain rice with a mild and nutty flavor. Both Brown and White rice have similar amounts of calories and carbohydrates but have different nutritional contents. Brown rice is a good source of magnesium, phosphorus, selenium, thiamine, niacin, vitamin. B6, manganese and high in fiber. 3. Glutinous rice has opaque Grains and becomes sticky when cooked; it does not contain gluten however. 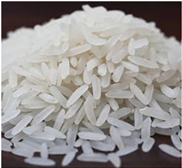 It is distinguished by having little or no amounts of amylose, but high amounts of amylopectin (starch); which gives the sticky quality in glutinous rice. Milled sticky rice is white in color and fully opaque, whilst I milled sticky rice can vary in colors from deep purple to black. 4. 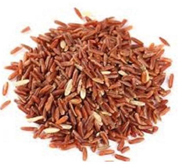 Red cargo rice is an unpolished rice which retains its bran layer and has nutrients, vitamins and minerals intact. It contains sources of vitamin B1, vitamin B2, iron, calcium and fiber. Red cargo rice has a sweet and nutty flavor, with textures more chewy than regular unpolished rice. 5. 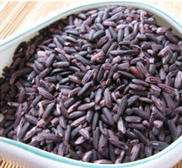 Riceberry is a cross breed of Thai Jao Hom Nin (JHN) and Khoa Dawk Mali 105 (Jasmine Rice). This is a whole grain rice with softness and a palatable after taste. 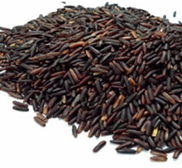 Riceberry is a Brown rice with health promoting properties. It is highly nutritious with anti-cancer studies conducted in its bran; it helps fight diabetes, heart disease, high cholesterol and obesity. Pro Go Grains currently imports and exports a variety of rice. 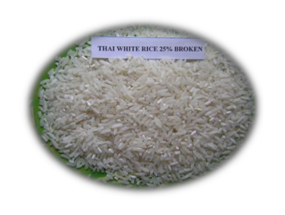 Export of Thai Jasmine rice is most popular amongst clients. 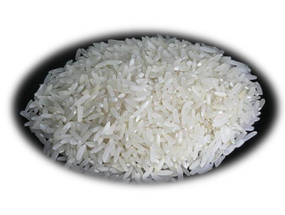 We also import basmati rice for local distribution through our company Professional Food Supply. For exports a minimum of 5,000 Metric Tonnes (MT) is required. 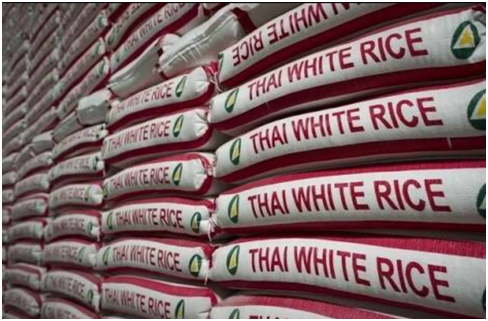 Pricing will depend on quantities of rice ordered with no limit on maximum quantities. Currently we supply to countries ranging from China to Nigeria. Please note that prices may change depending on season, customers will be notified of final pricing before shipment logistics. Packaging can be arranged from 50kg bags to 1,000kg bags. 3. It is generally characterized as long grain rice. 4. There are no living insects. 5. The seed size is as follows. •The average length-to-average ratio of whole grain rice without any deduction shall not be less than 3.2: 1. •Amylose content of not less than 13.0% and not more than 18.0% at a moisture content of 14.0%. 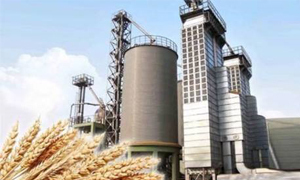 •The value of grain breakdown in the alkali level 6 - 7. Ground Rice: Grain 1st Grade no less than 70.0 percent, then Grain Long Grain 2nd Grade. There may be up to 5.0 percent of long grain grade 3 rice. Ingredients: whole grain Not less than 60.0 percent broken rice with a length of 5.0 parts but less than 8.0 parts but not more than 4.0 percent. Otherwise, rice with a length of 8.0 parts upwards. Grain: Grain 1st Grade is not less than 10.0 percent, except Grain 2 Grade and Grade 3 Grain. Short grain rice may not exceed 15.0 percent. Ground Rice: 1 st Grain 1st Grain not less than 20.0%, then Grain Long Grade 2nd Grade or Grade 3 Grade. Short grain rice may not exceed 10.0 percent. Ingredients: whole grain Not less than 60.0% broken rice with length from 3.5 parts but less than 7.5 parts but less than 7.0% Of this number may be. Broken rice with a length of less than 3.5 parts and not through sieve number 7 not more than 0.5 percent and white rice bran not more than 0.1 percent, and so on. The rice has a length of 7.5 parts up.